It's Facebook Fridays! for April 29, 2016! and the wisdom and justice of King Solomon can be yours! The Lucky Mojo Curio Company is holding a random drawing to give away 9 King Solomon Wisdom spiritual supply prizes for test taking, success in justice matters, increasing mental acuity, and bringing about the elusive quality known as "rulership"! 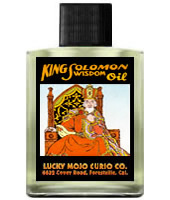 This week 9 lucky winners will each receive a bottle of Lucky Mojo brand King Solomon Wisdom Dressing Oil. 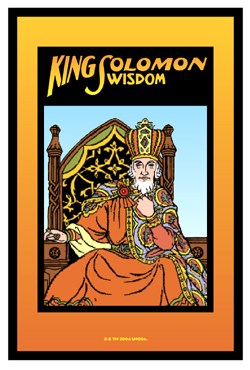 First thing tomorrow morning, we will select NINE winners at random, and ask them to message this Facebook Page with their mailing addresses, so we can send them their FREE King Solomon Wisdom products. NOTE: This is a different image than the one in the Contest We have a winner! In fact, we have 9 lucky winners! Our Facebook Fridays! winners for April 29, 2016 are: Malcolm Reed Cathey-Barber, Karma Mystic Veenstra, Jasz Canavan, Margot Note, Estefania Lissette, Chele Belle, Esly Caldwell III, Julia Young, and Beverly Welch.